Carter and his books are gone but books stuffers like him still exist. While it’s not a crime per se, it does muddy the Kindle ebook waters and brings garbage content into the market. While most of us wouldn’t fall for these cynical tricks, plenty will and that makes it a danger to readers and a boon to scammers. That is kind of clever. It's worth pointing out that Kindle Unlimited is the Netflix for Readers. You pay a fee of $10/mo and can select (borrow) from over over 1.3 million books, eight books at a time. But of that 1.3, only fifty thousand or so are even available outside the kindle market. And of those, very, very few are the hottest best sellers. And unlike Netflix, which commissions their own [generally very good] original content anybody can upload their own crappy e-book to Kindle Unlimited. Scammers too. So of those 1.25 million books that are left, 1.249998 are utter crap. I concur. I decided a long time ago not to bother with kindle unlimited. For all the above reasons. If one is serious about reading the latest and greatest ebooks, I have found that my local library has a reasonably good selection of free ebooks by most of the popular authors. I download them and read them on my iPad. Example, I just downloaded James Comey's book, A Higher Loyalty which is not available through kindle unlimited. I have three weeks to read it, and then it automatically "expires" and goes to the next person on the waiting list. I usually return them manually before expiry (no point in making the next person wait needlessly). And no monthly fee. Just higher taxes. Meanwhile — completely separate from kindle unlimited — my collection of free kindle books (the kind you buy for $0.00 and keep forever) has just passed 264,000. Yesterday's haul, for example, was 862 free kindle books. My 30 day running average is now approaching 600 per day. It took me three years to get to 100,000. And then another year to get to 200,000, and then only three months to get to 250,000. Perhaps I might yet reach a million in a few years. So far I have read exactly two of them. xouper wrote: Meanwhile — completely separate from kindle unlimited — my collection of free kindle books (the kind you buy for $0.00 and keep forever) has just passed 264,000. Yesterday's haul, for example, was 862 free kindle books. My 30 day running average is now approaching 600 per day. Torture testing the memory capacity just for LULz? Of course. 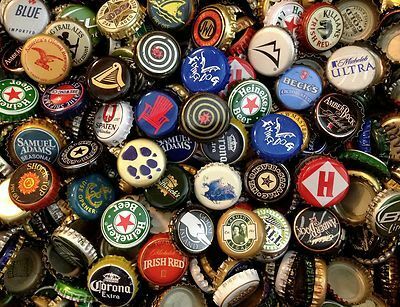 Some people collect beer bottle caps. My collection of free kindle books can't be much stranger than that, no? Besides, there might be some interesting data mining experiments to be done at some point. I myself collect web browsers. The future of Collecting lies in lint. Ask ed. He'll put you right.